Emily Branch Designs | Branch Out. : GCD + June issue of "The Paper Cut"
GCD + June issue of "The Paper Cut"
Hey there friends! 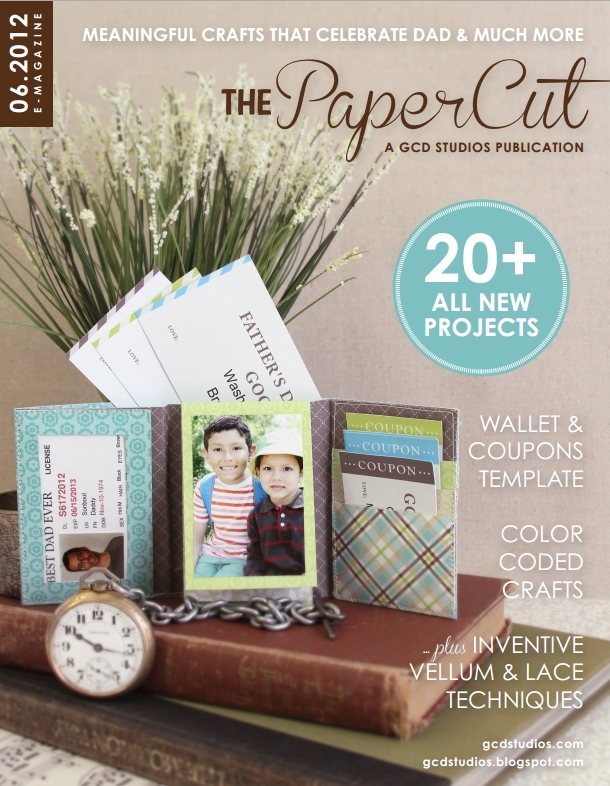 GCD's fabulous digital magazine, The Paper Cut has just hit the online newsstands with the june issue! The magazine is full of inspiring cards, layouts, projects, tips and new ideas for you to try. This month the issue focuses on Father's Day, lace and color challenges! Make sure to take a look and then stop by the blog for a chance to win one of our new collections, Bonjour!